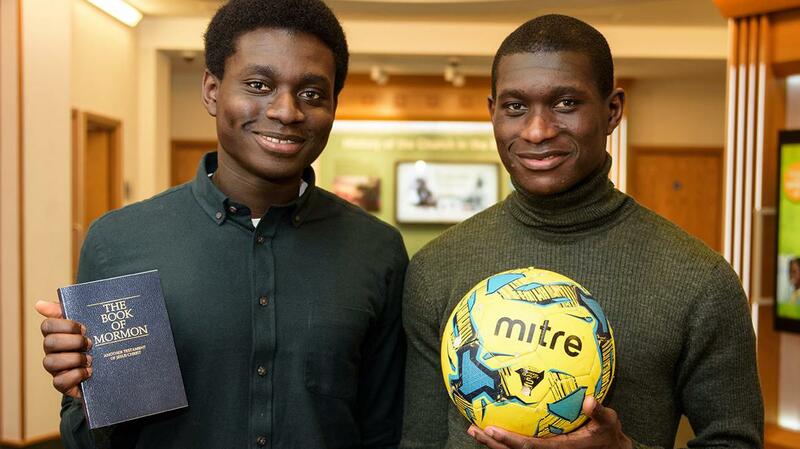 When Daniel Sintim-Aboagye gave up his football career to serve a mission, he showed that he is one of those special individuals who recognises what matters most and chooses to follow it. As a young man, Daniel’s ultimate desire was always to be a professional football player. His entire life seemed to be centred upon that dream. Although he was baptised into The Church of Jesus Christ of Latter-day Saints at age 9, his focus was more on football than on the Church. When he was asked to play on the Woking Football Club in the Conference Premier as a defender, centre back, Daniel felt like his dream had finally been realised. Unfortunately, playing football – especially on Sundays – kept him away from Church, and he eventually went inactive. After that, serving a mission never seemed like an option. Football was too important to Daniel for him to give it up. However, when his younger brother Timothy was serving his mission, Daniel began to think about going back to Church. He started to read the Book of Mormon. For several weeks, the full-time missionaries would visit his home and read the Book of Mormon with him. He watched movies about the value of serving a mission. He began to feel the Spirit telling him he should serve. At about this time Daniel began to lose interest in football as he knew it was not the life he wanted. He started to go to Church and later received a calling to serve as the Ward Clerk in his ward. About six months before his brother was to return home from his mission in the England Manchester Mission, Daniel emailed Timothy to tell him that he was considering serving too. Six months later when he went to Manchester to pick Timothy up to bring him home, the mission president told Daniel that he would go on a mission, and he would come to the England Manchester mission. As time passed Daniel became more active in his ward, and in November 2015 he received a call to serve in the England Manchester Mission. Although he was 25 years old, Daniel decided he wanted to serve a mission. He gave up his football career, and he is now more concerned about passing out Books of Mormon than passing footballs.